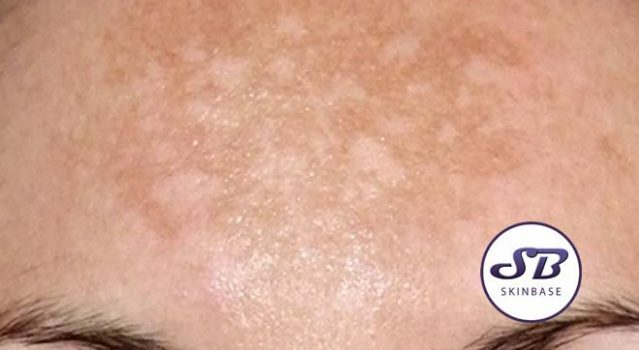 Also known as chloasma, melasma is a pigmentation caused by hormonal fluctuations, often during pregnancy. It’s so common in pregnant women that it’s earned the nickname ‘pregnancy mask’. 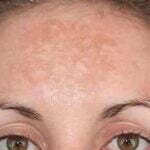 Melasma generally affects the face, in particular, the forehead, cheeks and nose. However, it can also appear on the arms and other areas that are exposed to the sun. It can be frustrating when, just as you were expecting to enjoy the ‘pregnancy glow’, your skin has these brown patches. For some women, it goes away soon after giving birth, but it can be very stubborn in others. So what can be done? Read on for our tips and advice. Although the reasons for chloasma are not completely clear, an overproduction of pigment by skin cells called melanocytes is a known cause. Melanin is a compound that protects our skin from the sun. We all have a natural baseline amount of melanin in our skin. Our melanocytes are stimulated to produce extra melanin when we are exposed to the sun (which is what forms a tan). Sometimes hormones can over stimulate the melanocytes, and cause them to produce excessive amounts. This creates the uneven, darker patches of skin known as melasma. Melanocytes can be overstimulated by a variety of factors including excessive sun exposure and pollution. But in the case of melasma, hormones are the culprit. 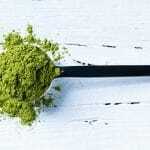 There are several things you can do to help reduce your chances of developing melasma, and numerous things you can do at home to help reduce its appearance too. The first and most important thing is using SPF. You absolutely must use sun protection every day, before, during, and after pregnancy. While the sun doesn’t directly cause melasma, it will exacerbate the effects and make it more difficult to get rid of. The next thing you can do is exfoliate. A gentle scrub or a chemical exfoliator will help to stimulate cell turnover and make the pigmented skin slough away faster. However, if you’re going to look into chemical exfoliants, it is absolutely essential that you don’t start until after you give birth. Some exfoliating ingredients, such as retinol, are not safe for use during pregnancy. We’d also suggest not making any huge changes to your skincare routine until after the baby arrives because pregnancy hormones can make your skin extremely unpredictable. 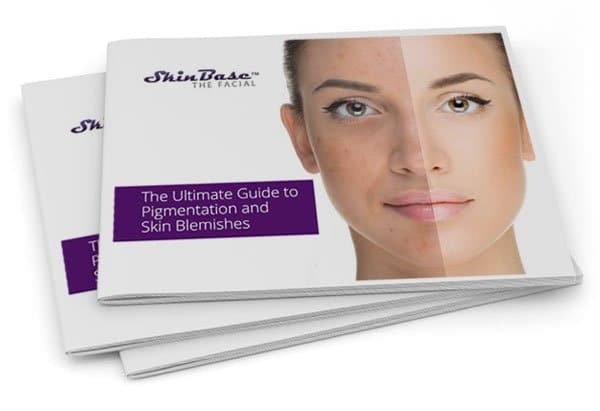 If your melasma is making you really self-conscious, invest in some skin camouflage makeup, available from large pharmacies, which will provide you with extremely heavy-duty cover-up. 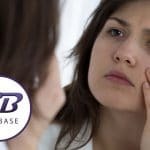 You can scrub away a certain amount of pigmentation, but it’s hard to reach the lowest layers of the skin at home, so it’s a good idea to look into a professional treatment if you really want something effective. SkinBase Microdermabrasion or IPL Photorejuvenation treatments are the ideal way to treat melasma. IPL makes your own body remove the pigmented cells itself. It does this by targeting the melanin using an intense beam of specially filtered light. This filtered light affects the melanin, but not the other cells around it. The melanin in the skin is heated to a temperature safe enough not to damage the skin, but high enough for the body’s healing response to kick in. The body identifies the melanin as a damaged skin cell, and flushes it away, therefore taking the pigmentation with it. This occurs deep within the skin, in layers where at-home treatments could never penetrate. IPL is extremely effective against melasma pigmentation, and as an added benefit, the healing response stimulates an increase in collagen. So you’ll get plumper, smoother skin as well as an even-toned complexion! Microdermabrasion helps melasma by manually exfoliating the skin layer by layer. With each treatment, dead skin cells are sloughed away to reveal the new layer beneath. Some melasma that is quite superficial will be sloughed away during this process. However, for more stubborn pigmentation a course of IPL will be most effective.